DLP projectors use UHP lamps high intensity light that emit ultraviolet radiation (UV) and infrared radiation (IR) invisibke to the human eye. In order to protect your eyesight OEM manufacturers create their projector lamps with some important safety features. Through the use of specially coated glass, filters and reflectors, OEM projector lamps are designed to keep your eyesight safe from UV damage. Most counterfeit lamps lack any of these features. 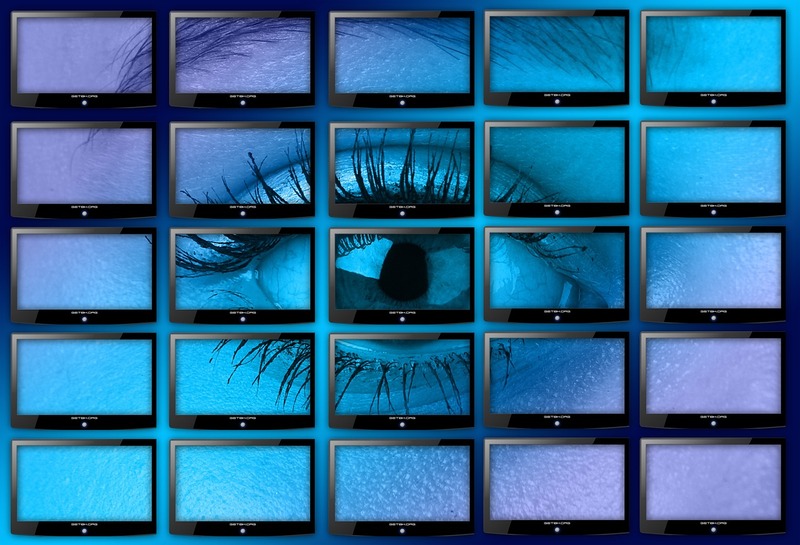 Learn more about the three key elements in your projector lamp that keep your eyesight safe. OEM projectors lamps are manufactured with special UV coated reflectors that reduce harmful rays and protect your eyesight. Counterfeit lamps don’t offer this protection. Notice how OEM lamp on the left is absorbing the light while the counterfeit lamp on the right is actually reflecting the UV light back out. Exposure to this reflected light can be dangerous to your eyesight, particularly for young child and teenagers whose eyes are still developing. When it comes to safe projector lamps, a few millimeters can make all the difference. 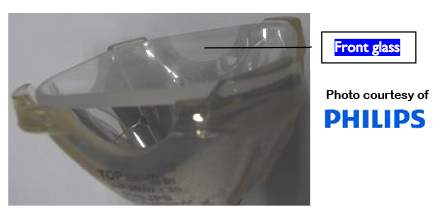 The lamp reflector covering the bulb is a key element for safe projector lamps. It must fit the lamp cage properly to ensure that UV light doesn’t leak through. Notice the 2mm gap on the left lamp and the light seeping through causing exposure to the UV light. Since the light is not going through the lamp at the proper angle the projector’s optics will eventually be damaged and the heat build up may eventually short circuit the electrical components. This can result to either costly repairs or the projector needing to be replaced. UV light protection is further enhanced with the use of a high-performance coating providing even more blockage. Most counterfeit lamps are missing this protective coating exposing you to these harmful rays when you install them into your projector.